YOUR LIVING TRUST: It is not Wonder Bread! Swimming in the huge Verdugo Plunge. Watching The Blob and The Thing at the Temple Theater. Running for fly balls on blacktop schoolyards. Glendale was a fun place to live in the 1950s. I often find myself daydreaming about my boyhood past. It happened recently when I was shopping at Albertson’s and saw a loaf of Wonder Bread. I immediately recognized the white plastic cover with red, blue and yellow spots. My mother used Wonder Breadsome 50 years agoto make fried-egg sandwiches on Sunday mornings. Albertson’s was selling the 24 ounce loaf for $3.69 (wow, this quickly woke me up! ), so I decided to go across the street to Vons. It was a good decision because I found the same Wonder Bread at a reduced price (20 cents cheaper at Vons). On July 19, 2007, in Garden Grove, the Continuing Education of The Bar presented a lecture on Estate Planning Scams, Botched Trusts and Other Disasters. Being a professional trustee, trust consultant, and probate court researcher, I attended this event with great interest. Southern Californiahome of the aging Wonder Bread connoisseursis now the hotbed of costly trust problems. Family trust disputes, for example, often generate $100,000 to $200,000 in attorney litigation fees! 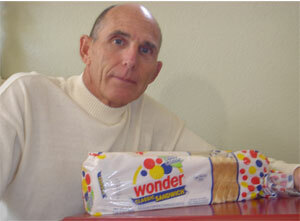 How in the world, you may be asking yourself, can trust problems, daydreaming and shopping for Wonder Bread be related? Perhaps this author watched too many horror films at the Temple Theater! When I was at Vons and Albertson’s, I was comparing the price of the same exact product (Wonder Bread). The product’s color, weight and ingredients (a scary list!) were identical at each store. Therefore, buying the bread at Vons for 20 cents less was a “no brainer.” Now, consider the thousands of trust bargain shoppers whowhile daydreaming about all trusts being alikepurchased a trust based on price alone. Buying trusts and groceries in the same way is the leading cause of today's trust problems! Every trust is a unique consumer product that has a degree of quality ranging from good to poordepending on the skill and knowledge of the preparer. Unfortunately, the majority of boilerplate trusts are “user unfriendly” because the preparers have obtained little or no experience as trustees. Also, there are many different types of trust designs, some of which have problematic histories. It is these variables (quality and design) that make trust shopping as dangerous as diving into the new Verdugo Plunge, which is an asphalt parking lot! The “bottom line” for current and want-to-be trust holders is the same: get real and get educated! For starters, a few visits to the Lamoreaux Justice Center in the City of Orange could prove to be invaluable. The Probate Court Office has thousands of cases on file involving trusts problems! At no cost (your tax dollars at work), you can easily use the public computers to viewand learn fromthese court cases. This type of “street-wise” knowledge will help you detect many common trust flaws and evaluate trust designs before (timing is everything!) a death or disability occurs. Woody Allen once said, “I don’t fear death. I just don’t want to be there when it happens!” Despite your fears or dislikes, you must be proactive to protect your property, privacy and intentions. Otherwise, as an uninformed spouse (or heir), you can easily become the next victim of an estate planning scam, botched trust or other disaster! Note: The above text appeared in The Orange Coast Voice in 2008. Also, in the summer of 2013, the Orange County Probate Court Office was moved to the Central Justice Center in Santa Ana.